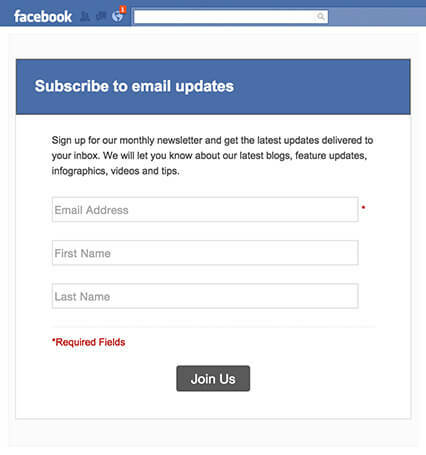 Add new subscribers to your mailing lists with sign-up forms on your blog, website and Facebook. You can choose from one of the ready-to-use templates and even gather information in custom fields. 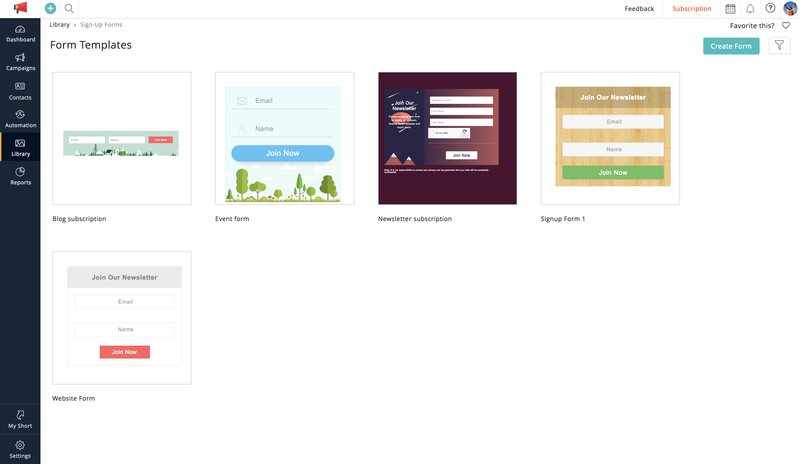 Customize your sign-up forms so that they match your own site design. The form editor lets you change colors, add background images and also edit the calls-to-action to create forms that fit your needs. Reports tell you all about the performance of your sign-up forms. You will also know the number of people who subscribed to your forms and also who they are. 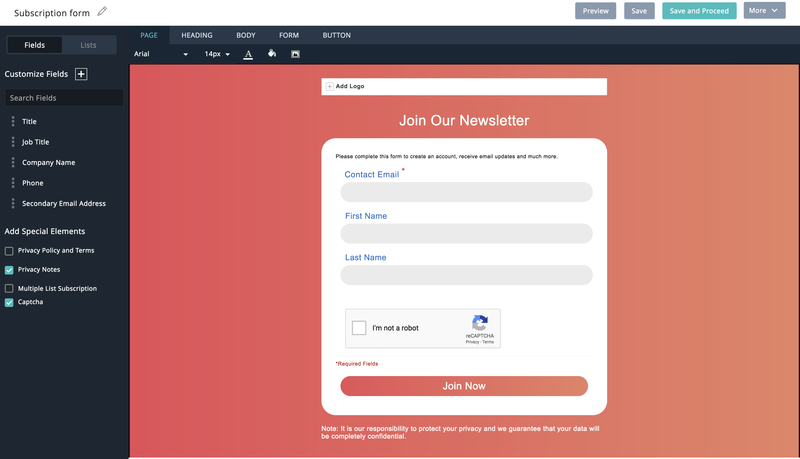 You can use a single sign-up form in multiple pages on your website. 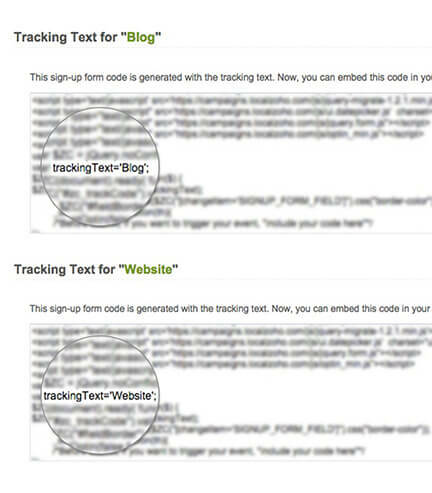 Zoho Campaigns gives you form tracking so that you know where your form is performing better. You can add your sign-up forms in multiple ways on your website. 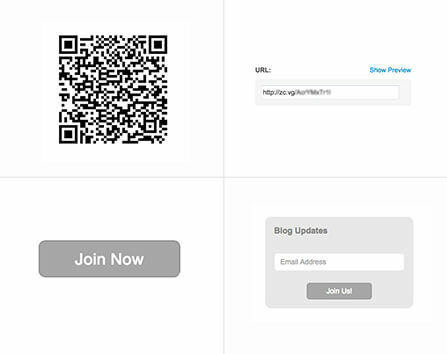 Choose a subscribe button, a QR code or display the form itself - based on your website design. Reach your target audience on Facebook. 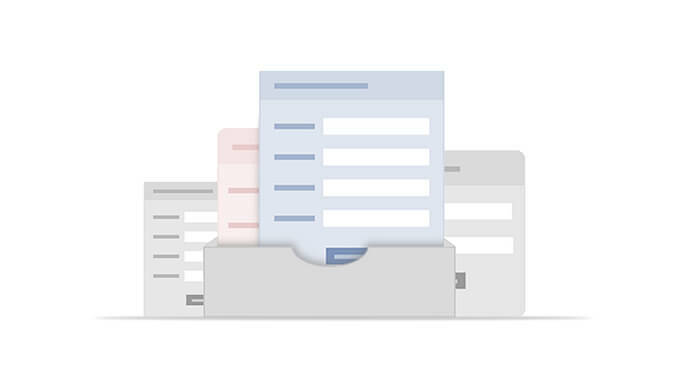 Sign-up forms that you create can be embedded in your Facebook pages also. Every form that you create can be added to the library so that they can be reused in the future. The next time you want to create a similar form, you do not have to begin from scratch!